Our Annual Sports day will be held on Saturday 12 May at the school. The day will start promptly at 9:30am and finish by 11:00am. All the children will be taking part except the Nursery Babies. Each child will be given a school T-shirt to be worn on the day. Please return the T-shirt as we would like to use these T-shirts again for our Annual Concert. The children are practising hard and it is very important that all the children attend to make the day a success. 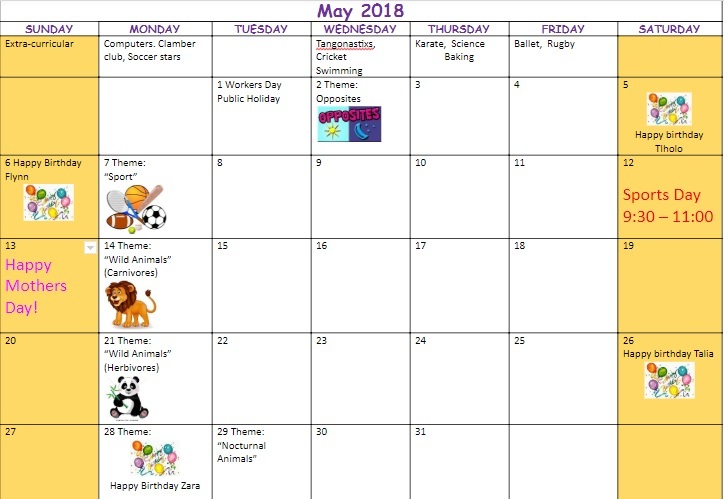 If by any circumstances you cannot make it on the day, please inform your child’s class teacher, as this will help us with the planning. It is advisable to bring a sun umbrella and camping chairs as it can become very hot. You are also welcome to bring a picnic basket or refreshments along. The children will be getting popcorn and juice on the day. All your support will be greatly appreciated. 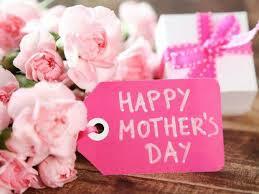 From all our staff and children, we would like to wish all our mummies, Happy Mother day on Sunday 13th May! "Mothers hold their childrens' hands for a short while, but their hearts forever"